Ivy Bennett was born in Wagin, Western Australia. She and her five siblings grew up on a sheep farm in Lake Grace. In 1939 she took a BA degree in modern literature and subsequently studied clinical psychology at the University of Western Australia (UWA) in Perth, graduating with an MA in 1943. From 1942 to 1945 she taught at Hugh Fowler's UWA Department of Psychology. With a British Council scholarship she travelled to England in 1946, enrolling for a PhD with Cyril Burt at University College London Psychology Department and graduating in 1951. At the same time, from 1947 to 1951, she trained with Anna Freud at the Hampstead Child Therapy Course and became an associate member of the British Psychoanalytical Society in 1951. Her PhD thesis dealt with the research of the development of neurotic and delinquent children, started together with Kate Friedländer at the West Sussex Child Guidance Clinic. Friedländer's untimely death in 1949 left Ivy Bennett to continue the project alone. Based on Friedländer's psychoanalytic theory of juvenile delinquency, she developed an intensive study, which was published in 1960 under the title Delinquent and Neurotic Children. Maida Elsie Wilhelmina Buxton Hall was born in Sydney, the eldest daughter of the dental surgeon Thomas George Hall and Elsie Alice Hall. Maida Hall graduated in medicine at the University of Sydney in 1935. Subsequently, she did her residency at the Royal Hospital for Women in Paddington, New South Wales, and set up a private practice in Sydney. In 1937 she married Litster Anderson Wark (1970-1974). Their daughter Elspeth Alice was born in 1943, a second daughter in 1948. In 1952, the marriage ended in divorce. A year later she married Thomas Daley-Hall. In the early 1950s, Maida Hall began an analysis with Andrew Petö, a psychoanalyst emigrated from Hungary, who became her training analyst. Afterwards she spent some time in London where she gained her membership of the British Psychoanalytical Society. Upon her return, she worked as a training analyst at the Sydney Institute for Psychoanalysis. She was the first Australian analyst to practice Kleinian-oriented psychoanalysis. One of her analysands was Reg Martin, the later president of the Australian Psychoanalytical Society, who was also a Kleinian. Klara Lázár was born in Pápa in Hungary, the daughter of the Jewish Hungarian wholesale grocer Adolf Adam Lázár and his wife Ilona née Lusztig. After completing her secondary schooling at a Calvinist college, she studied medicine. She graduated in 1924 at the University of Pécs and specialised in psychiatry. In 1927 she married Vilmos (William) Gerö, with whom she had her son George. Impressed by the work of Sándor Ferenczi, Klara Lázár commenced psychoanalytic training in 1925 in Budapest. She underwent a three-year training analysis with Michael Balint and was accepted for membership by the Hungarian Psychoanalytic Society in 1931 and, in 1938, as a registered training analyst. Working with Alice Balint in a children's clinic, she became increasingly interested in child analysis. 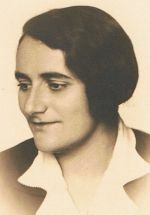 From 1932 to 1939, Klara Lázár-Gerö practised privately in Budapest until the anti-Semitic laws of the Horthy regime forced her into exile. She emigrated to Australia, after Ernest Jones, the president of the International Psychoanalytic Association (IPA), had appointed her - on the advice of Michael Balint - as training analyst of the British Psychoanalytical Society and had authorised her to function in Melbourne as a branch of the British Society. In 1940 Clara Lazar Geroe and her family arrived in Melbourne, where she worked, from 1941 on, as the only training analyst at the new Institute of Psychoanalysis for the next twenty years. (Fig. : Clara and Vilmos Geroe in the 1940s) Due to this fact the beginnings of psychoanalysis in Australia were marked by the Budapest School of Sándor Ferenczi. Clara Geroe was resistant to Melanie Klein's positions, most likely because of her friendship with Anna Freud. Along with the Australian analyst Roy Winn and the Hungarian analyst Endre (Andrew) Petö, Clara Lazar-Geroe formed the Australian Society of Psychoanalysts in 1952 as a branch of the BPAS. It would become independent in 1967, and by 1973 the Australian Psychoanalytical Society (APAS) was ratified as a full member of the IPA. Janet Nield, born in Rutherglen, Victoria, was one of the first psychoanalysts trained in Australia. She graduated in history at the University of Melbourne in 1934 and completed an MA in 1936 and a Diploma of Education in 1939. In 1935 Janet Blake Plant met Joseph Clive Nield (1908-1977), a master at Geelong Grammar School like her. They married in 1936 and had an only son, Lawrence. Sharing a commitment to child-focused education, Janet and Clive Nield departed in 1938 for a nine-month tour to study progressive educational methods and institutions in Europe, England, Canada and the United States. Among other things, they spent time at Alexander S. Neill's free Summerhill School. It became the model for their own progressive Koornong School, which they set up in Warrandyte, near Melbourne, in 1939. Supported by the psychoanalyst Clara Lazar Geroe, who trained the educators, the experimental Koornong School made use of the ideas embedded in psychoanalysis. Between 1941 and 1946 Janet Nield commenced training analysis with Clara Lazar at the newly established Melbourne Institute for Psychoanalysis. Following the closure of Koornong School in 1947 she and her husband moved to Sydney. In 1953 Janet Nield was appointed as an honorary psychotherapist at the Royal Alexandra Hospital for Children, a position she held until 1971. She continued her training analysis with Andrew Petö, director of the Sydney Institute for Psychoanalysis founded in 1951. Janet Nield qualified as an analyst in 1962 and was granted membership of the British Psychoanalytical Society that same year. Since the late 1960s, she served as a training analyst at the Sydney Institute for Psychoanalysis. By teaching and supervising psychiatrists and other therapists at the Hospital for Children, she made a crucial contribution to the recognition of psychoanalysis. Born in Hungary, Vera Roboz-Groák was initially trained in orthopedagogy. Like her future husband, the paediatrician Pál Roboz (1900-? ), she was a disciple and colleague of Leopold Szondi. Szondi, the founder of fate analysis and creator of the Szondi test, lectured and researched in Budapest until his deportation and emigration in 1944. After the end of World War II, many of Szondi's adherents came into leading positions, including Vera Roboz. She was until 1956 professor of the Remedial Teacher's Training College in Budapest, where she headed the faculty of criminal psychology. During her time in Budapest she received her psychoanalytic training, her training analyst was presumably Hanns Sachs. She was not a member of the Hungarian Psychoanalytical Society. After the suppression of the 1956 Hungarian revolution, Vera and Pál Roboz emigrated to Australia and settled in Melbourne in 1957. Vera Roboz' associate membership of the British Psychoanalytical Society was delayed for five years until 1962, although she was active in analytic practice and the affairs of the Melbourne Institute for Psychoanalysis all that time. In 1968 she was admitted to full membership. As a training analyst she was appointed to the Training Committee in Australia, which became responsible for psychoanalytic training in Australia. Argentine-born and educated, Silvia Rodriguez first came into contact with psychoanalysis at the age of fifteen: when her parents separated, reading Sigmund Freud was a refuge for her. She was originally oscillating between medicine and psychology, but then decided to pursue psychology and finished studying in 1968. Silvia Rodriguez and her husband, Leonardo Rodriguez, were trained in Lacanian psychoanalysis in Argentina, at a time when there was a close relationship between psychoanalysis and the New Left. When General Videla took power over Argentina in a military coup in 1976, Silvia and Leonardo Rodriguez, like many other Argentine psychoanalysts, left their country. They emigrated to Australia and arrived in Melbourne in 1977. Silvia Rodriguez's first job was at the Austin Hospital in child psychiatry. She underwent a further analysis with Bill Blomfield of the Australian Psychoanalytical Society. She worked in the Psychiatric Department at the Royal Children's Hospital until 1986 as a psychologist, before she could start her psychoanalytic practice in Melbourne. In 1982 Silvia Rodriguez was a co-founder of the Australian Journal of Psychotherapy; she is a Board member of the Lacanian Australian Centre for Psychoanalysis (ACP), which was founded in 1986. In a series of articles Silvia Rodriguez has explored various aspects of Lacanian thought, partly in collaboration with her husband. The physician Rose Rothfield belonged to the first generation of Australian psychoanalysts who were trained by Clara Lazar-Geroe. In 1956 she was admitted as an associate member of the British Psychoanalytical Society and taught at the Melbourne Institute for Psychoanalysis. She was interested in the ideas of Melanie Klein and spent several years in London, where she underwent a second analysis with the Kleinian Herbert Rosenfeld. After her return to Melbourne she was in 1968 appointed training analyst of the Australian Study Group, since 1971 Australian Psychoanalytical Society (APAS) and a component society of the International Psychoanalytical Association. Along with Clara Geroe and Vera Roboz she was an initial member of the Training Committee in Australia. The Lacanian analyst María-Inés Rotmiler de Zentner was born in Argentina as the daughter of European immigrants. She studied psychology at the National University of Buenos Aires and was trained in Buenos Aires in classical Freudian psychoanalysis at the Asociación Psicoanalítica Argentina. Subsequently she underwent analysis with Oscar Masotta, a Lacanian analyst who had founded in 1974 the Escuela Freudiana de Buenos Aires. In 1977 María-Inés Rotmiler de Zentner and her husband, the psychoanalyst Oscar Zentner, left Argentina, which was afflicted with Videla's terror, and emigrated to Australia. They established themselves in Melbourne and founded in 1977 the Lacanian-oriented Freudian School of Melbourne. María-Inés Rotmiler de Zentner has worked for many years in the Department of Psychiatry of the Royal Children's Hospital in Melbourne, and for the Postgraduate Child Psychiatry Training Programme of Victoria. Her writings include works on suicide, anorexia nervosa, desire, discourse, melancholia, and the question of time in the psychoanalytic treatment. In 1992, she resigned as a member of The Freudian School of Melbourne and currently works in private practice in Melbourne. She is a Consultant Psychoanalyst in the Department of Child and Adolescent Psychiatry, Austin Hospital, and a Senior Lecturer with the Department of Psychological Medicine, Monash University.